Roger Stone, a longtime friend, and adviser to President Donald Trump was indicted on seven federal charges brought forward by the Russia investigation being led by special counsel Robert Mueller. A federal grand jury agreed that indictments against Stone were appropriate. Of the seven charges included in the indictment filings, five of them are based on making false statements to investigators, one count is on obstruction of an official proceeding, and one count is related to witness tampering, ABC News reported on Friday. The indictment was officially made on Thursday. Stone was arrested on Friday and will appear before a federal court in Florida later in the day. At his apartment in New York city, investigators, who had obtained a warrant to do so, were seen removing computer hard drives and other documents. Stone’s lawyer vehemently denied the charges against his client, saying there was no collusion between his client and Russia during the 2016 campaign. 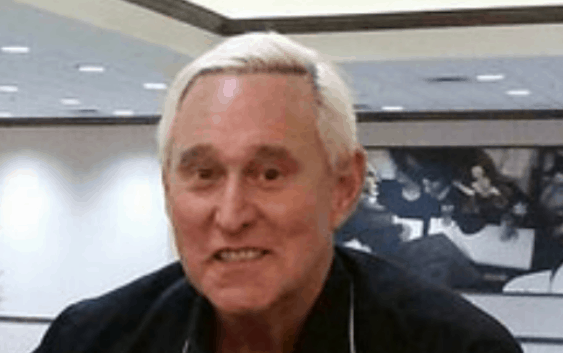 “This was an investigation they started as about Russian collusion and now they’re charging Roger Stone with lying to Congress about something he honestly forgot about, and as Roger has stated publicly before, he will fight the charges,” Stone’s lawyer Grant Smith said. The indictment alleges that, following the release of hacked Democratic National Committee documents in 2016 by WikiLeaks, a “senior Trump campaign official” was ordered to ask Stone about finding out what “other damaging information [WikiLeaks] had” on Trump’s general election opponent, Democratic Party presidential candidate Hillary Clinton. Later during the campaign, “Stone thereafter told the Trump Campaign about potential future releases of damaging material by [Wikileaks],” according to the indictment. WikiLeaks has been tied to the Russia investigation in the past. Mueller previously indicted 12 Russian intelligence officers, accusing them of hacking DNC emails during the 2016 campaign. In those charges, Mueller’s legal team referenced WikiLeaks as working in conjunction with those hackers to disseminate the documents once they had been hacked, according to previous reports from the New York Times. The White House tried to downplay Stone’s relationship with Trump in an official statement following the announcement of the charges. “This has nothing to do with the president, certainly nothing to do with the White House,” Press Secretary Sarah Sanders said, per reporting from the Washington Times.